Ijdelea Mihăilescu won the CEE Legal Matters Deal of the Year Award for Romania at the Deal of the Year Awards Banquet in Budapest for the assistance provided to Black Sea Oil & Gas in relation to its EPCIC Contract with GSP Offshore for the Midia Gas Development Project (the “MGD Project”). 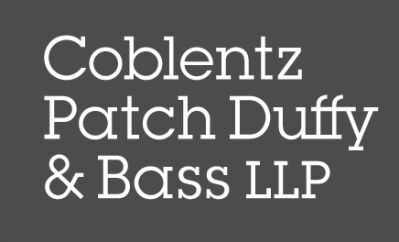 Coblentz partners Fred Alvarez and Miles Imwalle have been appointed to editorial positions with Law360. Fred Alvarez, a partner in the firm’s Employment practice, has been appointed to the 2019 Employment Editorial Advisory Board of Law360, and Miles Imwalle, a partner in the Real Estate practice, has been appointed to the 2019 Real Estate Editorial Advisory Board of Law360. Martin del Gallego returns to Piper Alderman this week as a dispute resolution and litigation partner in the Sydney office. Martin started his career with Piper Alderman in 2008 and left in 2012 to pursue opportunities in Western Australia. Martin then moved to the UK in 2015, and re-joins us from US headquartered international law firm, Covington & Burling LLP, where he worked in their London office. Judd Last has recently joined Piper Alderman as a real estate partner in its national Real Estate team in Brisbane. He focuses on the legal aspects of a wide range of property and commercial transactions, with niche expertise in aged care and senior living within both the commercial and not-for-profit sectors.